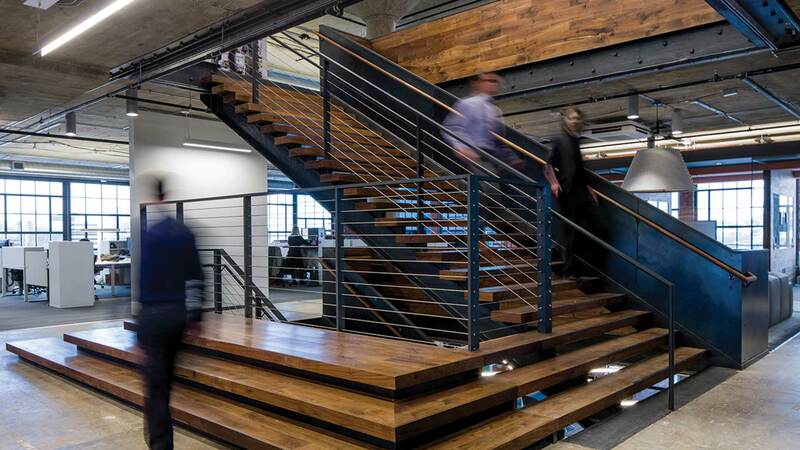 An open communicating stair prominently and purposely connects three floors at the center of Hollis + Miller’s Kansas City office space, enhancing all-office culture and promoting collaboration. 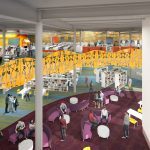 The main entry is located on the middle floor, with each floor housing unique resources to encourage co-mingling. 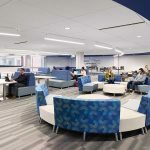 We are stronger together, so by housing the charrette spaces on the bottom floor, the café on the middle floor, and the interior library, focus booths and human resources on the top floor, team members are obligated to interact daily outside their studios. 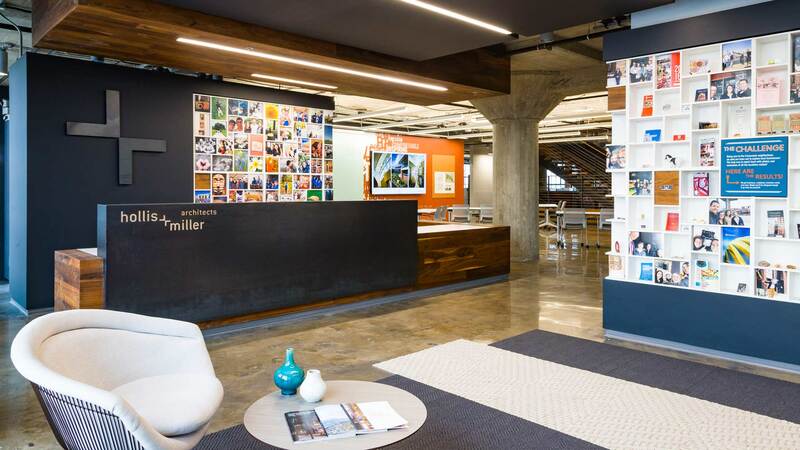 This strengthens our six studios as a team and enhances our office culture. 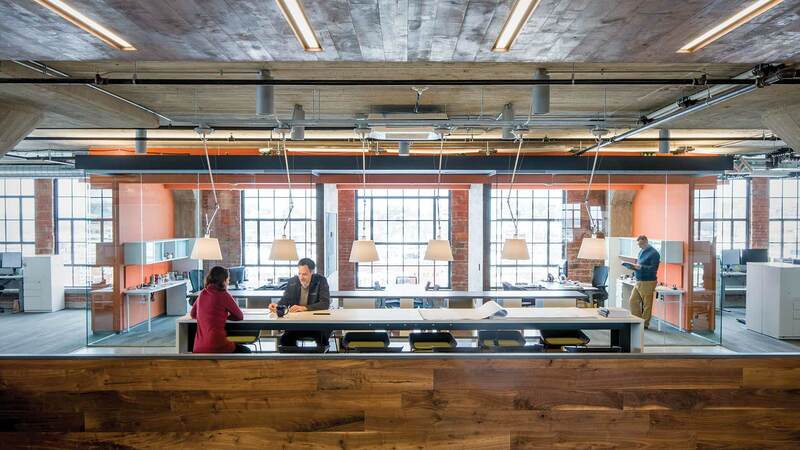 The Hollis + Miller Workspace reflects who we are and how we work. 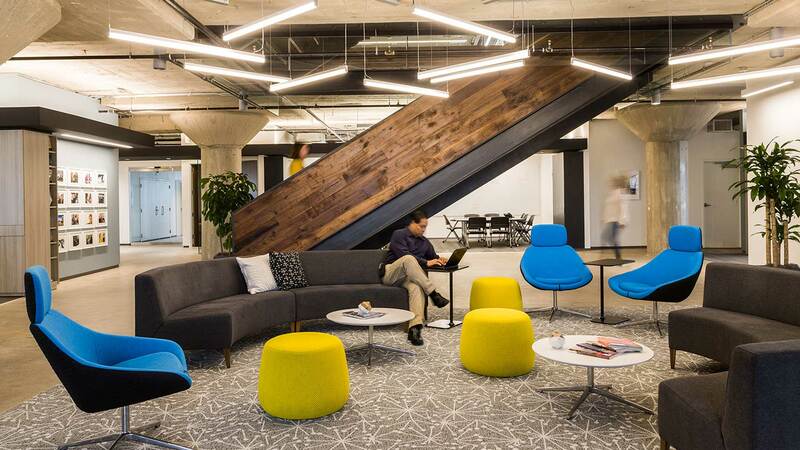 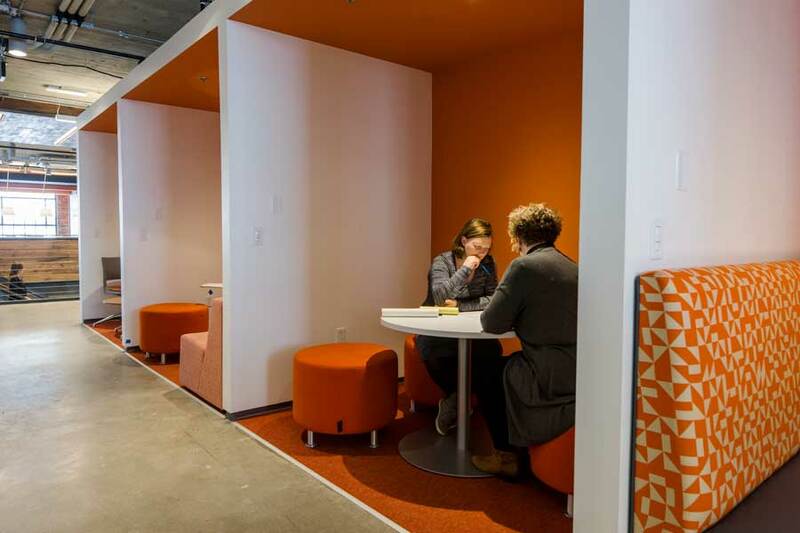 Every space reinforces the concepts of team, collaboration, and balance. 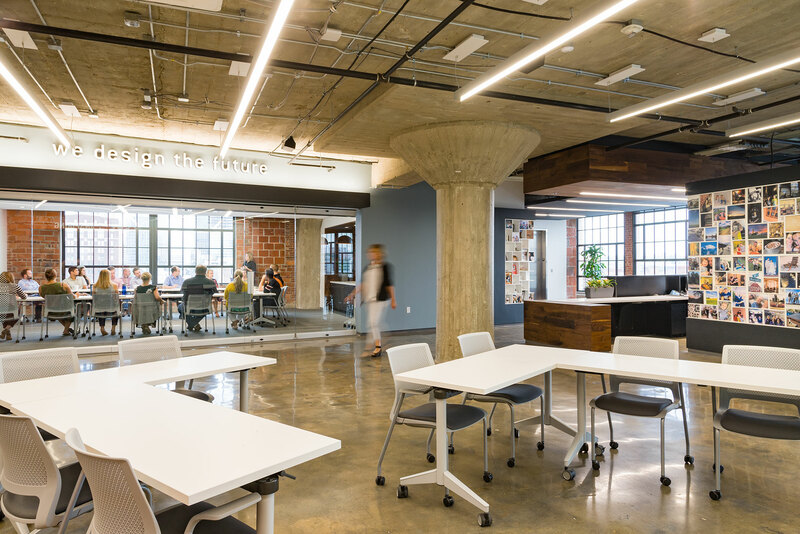 Ultimately, the space is a stage and tool for our people to pursue the larger purpose of empowering communities through design and leadership.